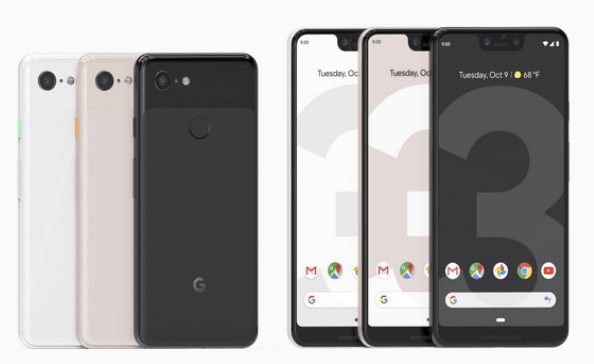 Google has finally revealed Tuesday the release date and pricing of its highly-awaited Pixel 3 phone. The tech giant was at a New York City press event to broadcast its latest products. 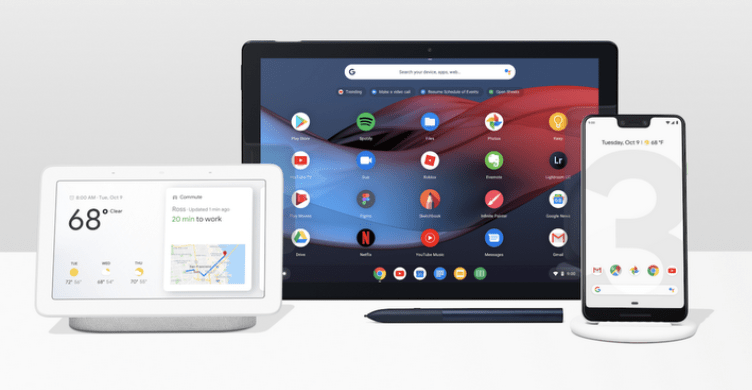 It also announced its new Chromebook tablet-laptop Pixel Slate, and Google Home Hub – a Google Home smart speaker with built-in display and Google Assistant. The Pixel 3 follows Pixel 2 from last year. It will come with 5.5-inch and 6.3-inch XL models. Google said the front speakers are 40 percent louder, and the plastic OLED screen are its best ever. It also emphasized how good the Pixel 3 camera is against the competition. The Pixel 2 camera still has legitimate claim as a top smartphone camera today. But Google went further. It said the Pixel 3 has industry-leading tech with a custom imaging chip to enhance images in the device. The Pixel 3 camera also shoots multiple photos in burst mode and has a “Top Shot” feature to choose the best picture automatically. Its smart zoom feature enhances details when you zoom into images. Google claimed that low-light photography is so good at night that users will never need a flash. Yet, the phone has a built-in flash. Screen Call detects spam calls as they enter. You can mark the inbound call as spam and block the number from calling again. Accessories include a $79 Pixel Stand wireless charger with Google Assistant support for voice commands. The phone can act as a photo frame when charging on the dock. The Pixel 3 has three colors to choose from: Just Black, Clearly White, and Not Pink. Pre-orders are open for $799 from Verizon, Project Fi, and Google Store unlocked, and will launch October 18. The larger Pixel 3 XL will start from $899. The Pixel Slate follows the 2017 Pixelbook laptop. Yet, rather than having the screen that folds back on the Pixelbook, the Slate uses a detachable keyboard. It still runs on Google’s ChromeOS to open web and Android apps. Like the iPad Pro, the Pixel Slate has front and back speakers so users can hear audio from both sides when playing games or watching movies and TV. For video chats and regular photos, Google included 8-megapixel cameras on the front and back. The front camera has wide-angle lens for video chat to fit more people in the frame at once. Google updated the ChromeOS user interface for tablets. It now has popular apps at the bottom of the screen, such as those found on an iPad. ChromeOS will update silently in the background so users get the latest security updates without intervention. The detachable keyboard snaps in place and transforms the Slate into a laptop. It has a full trackpad that allows you to use a mouse, unlike those on an iPad Pro. You may use the keyboard as a case or housing for the Slate when not in use. The Pixel Slate will start from $599. The keyboard will cost $199, and a separate stylus will cost $99. Google has yet to announce a specific date later this year for availability. The Google Home Hub is a Google Home smart speaker with a screen and supports Google Assistant. Like other devices with Google Assistant, Home Hub lets you turn on the lights, lock doors, and ask for weather updates and other info from the internet and other Google products. Unlike Google Home (and more like the Amazon Echo Show), the Home Hub has a built-in display for photos and more visual information for your queries. As a photo frame, the device has “live albums” to select pictures of people you want to see. It automatically updates as new pictures come in. Pre-orders start Tuesday, and it costs $149.